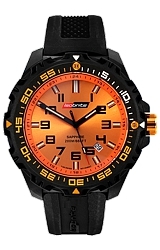 The Armourlite Isobright ISO302 has a sunray orange dial and T100 orange tritium illumination. 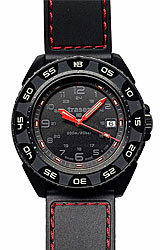 Like the other models in the IsoBright Valor Collection, the ISO302 has T100 rated tritium illumination. 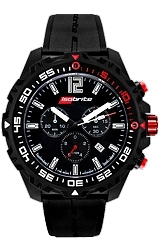 This makes it 4 times brighter than other Tritium Watches (rated T25). 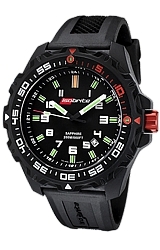 Every hour marker tritium illuminated and the unidirectional bezel features two tritium markers. Features of the ISO302 include ana anti-reflective coated sapphire glass crystal, a lightweight yet super strong polycarbonate case and a silicone diving strap. It is water resistant to 200 meters or 660 feet below sea level. 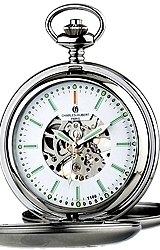 Model ISO302 features a reliable Swiss Quartz Ronda 715Li movement with a 10-year lithium battery. Each Isobrite watch has a 2 year manufacturer's warranty.